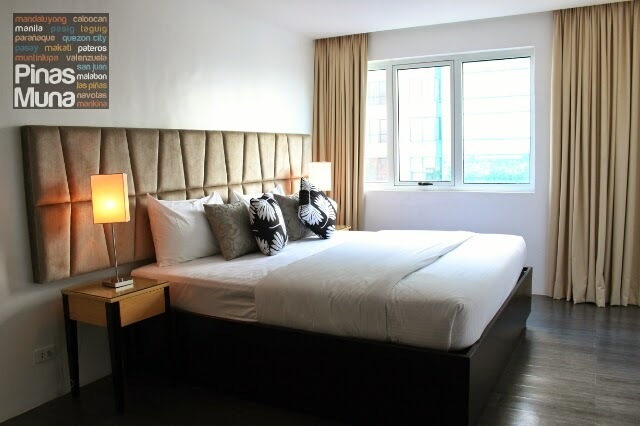 Privato Hotel is a first class business and leisure hotel located along Shaw Boulevard in Pasig City. It has a total of 177 rooms divided into four room categories. 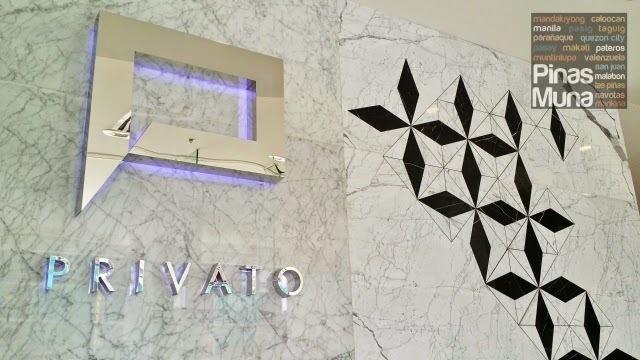 Opened in February 2014, Privato Hotel is one of the newest hotels in Pasig City, easily accessible from EDSA, C5, and the Ortigas Central Business District. 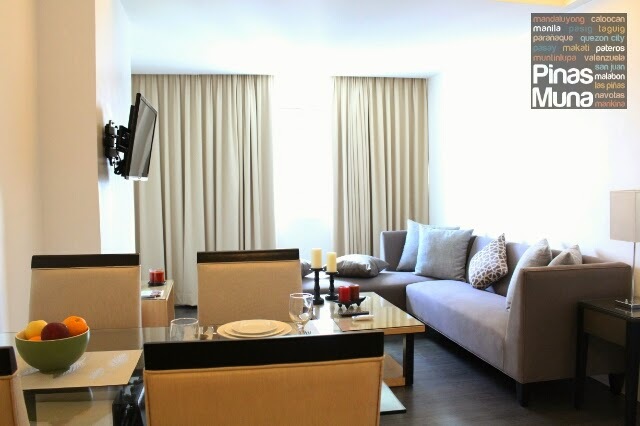 Within its neighborhood are two of Pasig City's famous dining destinations: Kapitolyo and Capitol Commons. 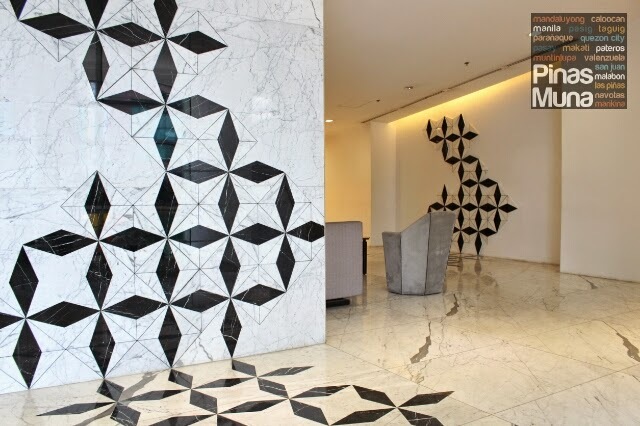 The hotel's lobby was designed by Architect Calma featuring geometric patterns utilizing white and black Italian marbles. Italian Carrara, Italian Black Marquina, and Italian Yellow Onyx were shipped to the Philippines straight from Italian marble quarries. The marble pieces were cut using an advanced waterjet cutting technology. 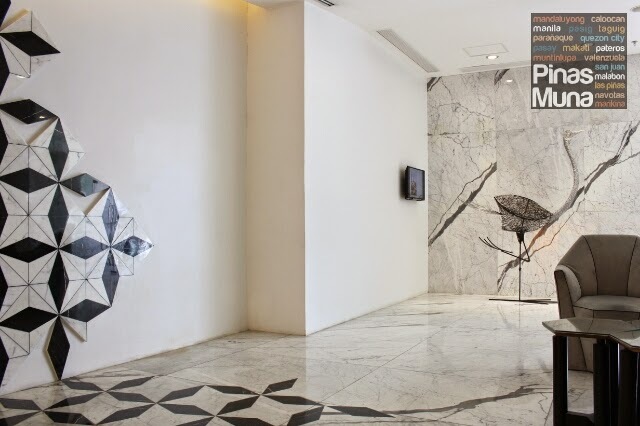 The ostrich sculpture at the lobby was designed by Davao-based artist, Ann Pamintuan, while the furniture was designed by interior architect, Tina Periquet. 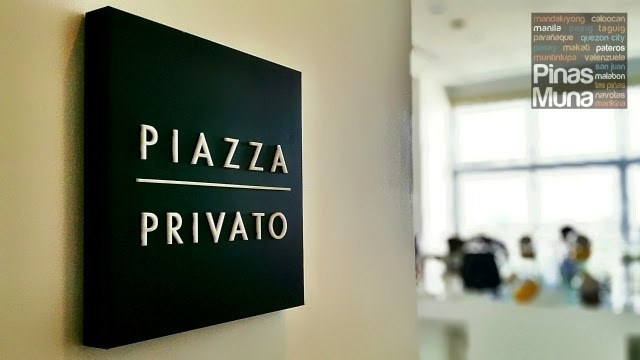 Privato Hotel is under the management of Enderun Hospitality Management, the same group managing Acacia Hotel Manila, Misibis Bay and Microtel Acropolis. 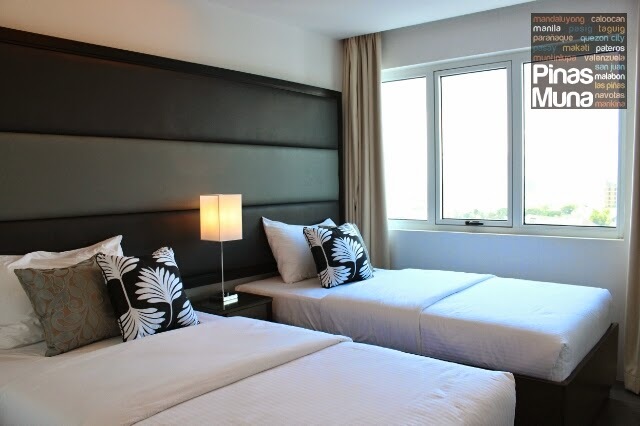 The Executive Twin room measures 21 square meters (check room rates) and features two single beds. The room can accommodate up to a maximum of two adults and two children. The room is equipped with an individually controlled air-conditioning unit, a cable-ready flat screen TV, an in-room safe, a mini refrigerator, and a hair dryer. Free Wifi Internet access is available. The room is provided with two complimentary bottled water, coffee and tea. The en suite bathroom has a walk-in shower with water heater and rain-shower head. Toiletries and towels are also provided. In addition, the toilet is installed with a bidet. The similar room type, Executive King, has the same features and amenities except for the king size bed replacing the two single beds. The next room category is the Deluxe Double Queen (check room rates). 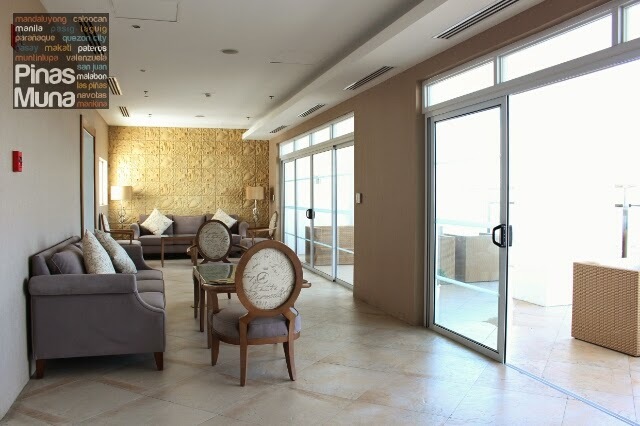 Measuring 28 square meters, it is more spacious than the Executive room category. The room features two queen beds and can accommodate up to a maximum of two adults and two children. The room is equipped with an individually controlled air-conditioning unit, a cable-ready flat screen TV, an in-room safe, a mini refrigerator, and a hair dryer. Free Wifi Internet access is available. The room is provided with two complimentary bottled water, coffee and tea. The en suite bathroom has a walk-in shower with water heater and rain-shower head. Toiletries and towels are also provided. In addition, the toilet is installed with a bidet. The highest room category is the One Bedroom Suite (check room rates). With a total floor area of 56 square meters, it has a spacious bedroom, a living and dining area, and a fully equipped kitchen. The bedroom features a king size bed and can accommodate up to a maximum of two adults and two children. 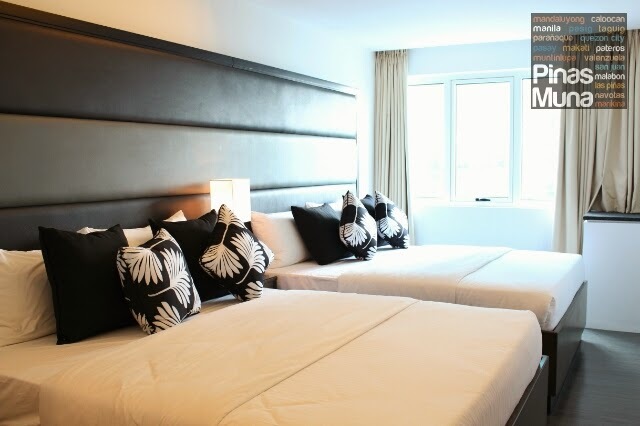 The bedroom has its own individually controlled air-conditioning unit , an in-room safe, and a hair dryer. Free Wifi Internet access is available. The living area has two lounge sofas and a cable-ready flatscreen TV. The furniture is made by Las Palmas Furniture in Angeles, Pampanga covered with natural wood veneer. There's free Wifi Internet access inside the suite. The mini refrigerator is located at the kitchenette. The dining area has a table that can fit up to four persons. The room is provided with two complimentary bottled water,coffee and tea. The en suite bathroom is accessible from the bedroom and the dining area. It has a walk-in shower with water heater and rain-shower head. Toiletries and towels are also provided. In addition, the toilet is installed with a bidet. 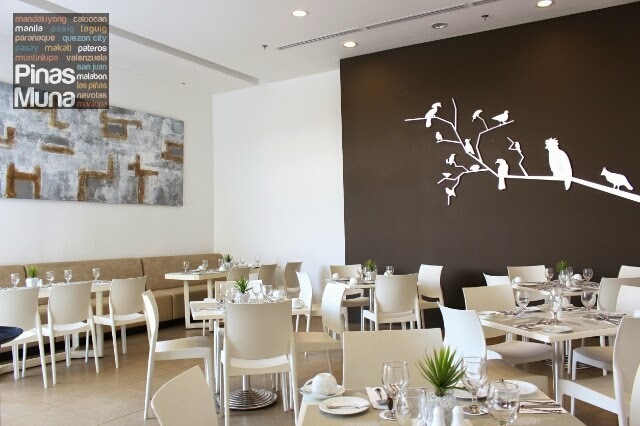 Piazza Privato is the hotel's in-house restaurant serving Filipino and international cuisine. Breakfast, which is not included in the room rates, is served at the Piazza Privato. Guests can choose between buffet breakfast and plated breakfast. The restaurant is designed by Architect Anton Mendoza. The floor to ceiling glass windows allow natural light to illuminate the whole restaurant, while at night, guests can enjoy a view of the BGC nightscape. 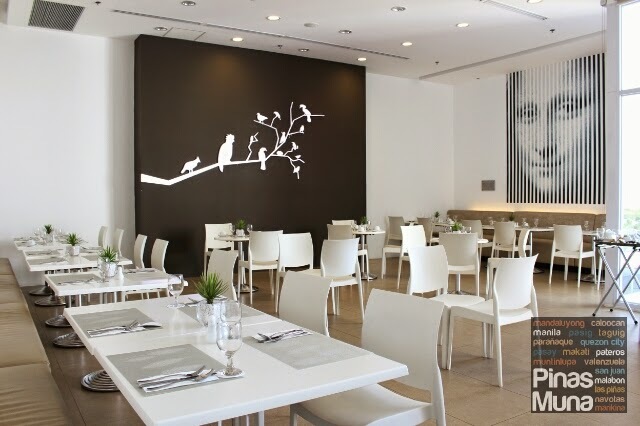 One of the artworks shows the silhouettes of the 12 endangered bird species of the Philippines. A hugs portrait of Mona Lisa is also mounted on one side of the restaurant. The other side of the restaurant features an artwork by master abstract expressionist, Ivan Acuna. 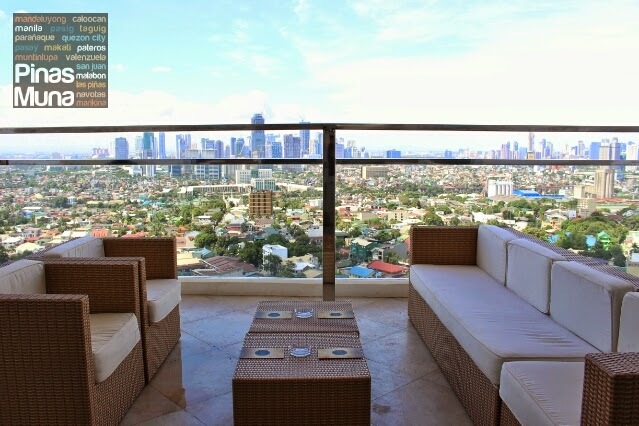 The Verona Roofdeck Bar offers a spectacular view of the Makati & BGC skyline, and of Laguna de Bay. At night, gusts can enjoy a view of the vibrant cityscape. The area is available for social events and private parties. Privato Hotel has recently hosted a spa party at the roofdeck bar, just one of the many possible events that can be held at the area. The recently completed roofdeck pool is open from 7:00am to 7:00pm. 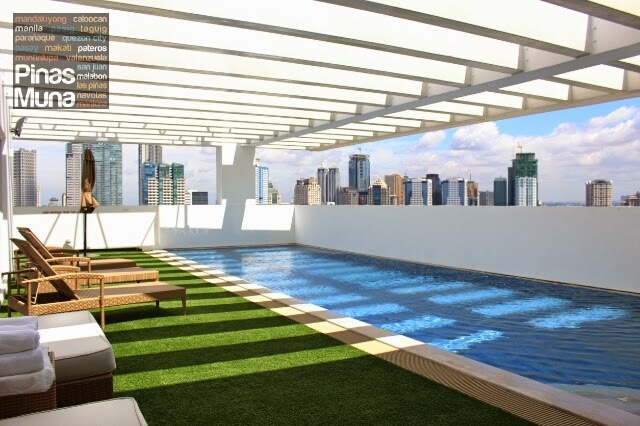 From here, guests can enjoy a view of the Ortigas CBD, Marikina Valley and the Sierra Madre. The pool is four feet deep and is attended by a dedicated lifeguard. Towels are available upon request. 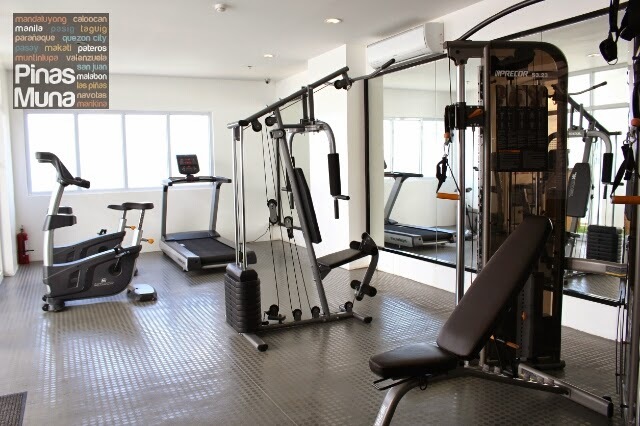 Checked-in gusts can also use the gym located right next to the swimming pool. Privato Hotel is an ideal hotel for international and local business travelers and tourists looking for a base in Pasig-Ortigas area. Ninoy Aquino International Airport is easily accessible via C5. Its close proximity to dining and shopping establishments also makes it an ideal leisure and staycation hotel. 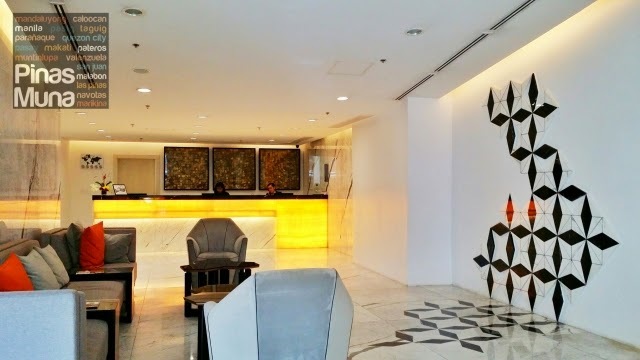 Book Privato Hotel in Pasig City with Traveloka.